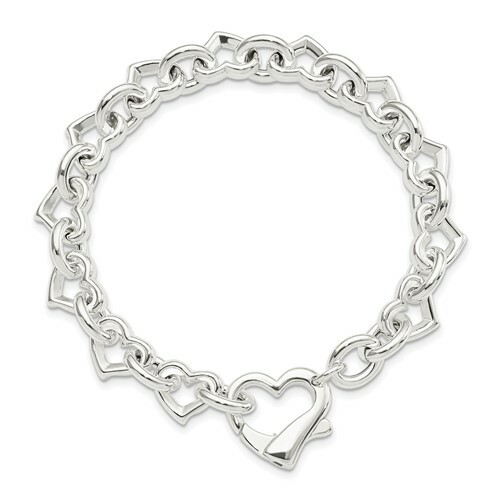 Polished sterling silver bracelet has heart shaped links and a fancy lobster clasp. Length: 7 1/2in, weight: 27.2 grams. Made in Italy.